First it was Shah Rukh and then it was Aamir. The two big stars of the Khan triumvirate of Bollywood came up with bloopers, similar in nature, which caught their starry-eyed fans and others alike off guard. The nation was dismayed to note that the two larger-than-life figures had the audacity to make preposterous statements over “rising intolerance” in the country. Their comments turned the troubled political waters of the nation a whole lot murkier. Right thinking people of the country were bewildered as to what had led to the unkindest blows dealt by the two in quick succession without any provocation. Further, they could not help wondering if there was a deep-rooted conspiracy behind the highly objectionable behaviour to defame the nation. The reason for the puzzlement was obvious – the two iconic stars are recipients of the adulation and admiration of millions of fans spread across the length and breadth of our country as also elsewhere across the globe, cutting across the religious divide, which had made them superstars in the first place. Why would two successful film stars, who are already well established in their career and have been decorated with impressive arrays of awards and honours, make an unwarranted faux pas and rock their own boat? It was quite difficult to believe that their reprehensible reactions were part of a familiar behavioural pattern. 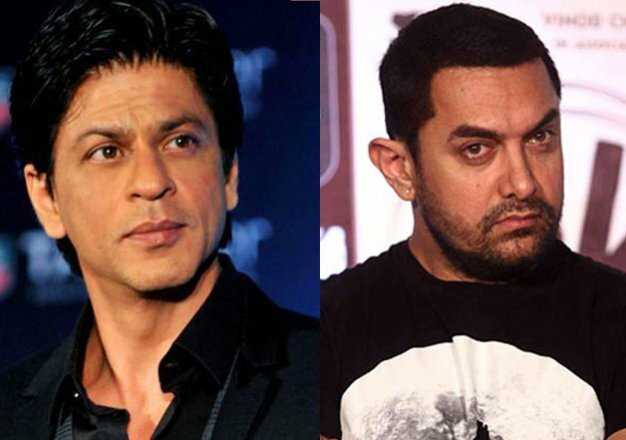 Even after giving allowance to the quixotic way some of these artists try to project their image, from time to time in unusual contexts and backgrounds, the statements made by these two Khans on “rising intolerance” were quite far-fetched. Was it then the craving for cheap publicity that made them do it or was it part of a clever strategy to promote their films? Both the possibilities could not be ruled out. The most likely possibility is, however, a conspiracy. Here, let me explain what makes me think so. First, consider the timing. Shah Rukh made his comment as the Bihar Assembly elections were in full swing. Meanwhile, Aamir made his ominous statement following BJP’s shocking defeat at the hustings, and the party was in self-introspection mode and in the process of crafting a more successful poll strategy for Kerala. The virulent attack on the party launched by its bitter political rivals who had ganged up to denigrate the Prime Minister on charges of not speaking against what they called were signs of “rising intolerance” – killings of some rationalist writers in Karnataka and that of a member of a minority community in Uttar Pradesh allegedly by some people who suspected him of consuming beef – bolstered the conspiracy theory. The shrill and strident attacks by a combined Opposition managed to make the people of Bihar believe that the Assembly elections were all about an outsider’s unjustifiable bid to seize power from their own local leaders, and there was a massive “threat” of communalism purportedly waiting in store to the utmost detriment of the minority community in the event of the BJP coming to power in the state. Here it is worth recalling that the anti-BJP parties had united not on common ideological grounds but on the plank of fear of the prospects of the BJP making big political fortunes in Bihar that would have resulted in the leaders of the grand coalition being relegated to the footnotes of history. To make matters worse, the Opposition came up with a cunning strategy of rattling and misleading some disgruntled recipients of national awards for excellence in various fields such as arts, literature, etc into returning their awards in protest against “rising intolerance”. This was actually a canard spread in a bid to bring discredit to the BJP-led government at the Centre and for defaming the nation in the world arena by the unscrupulous anti-BJP elements for their narrow political gains. The insidious atmosphere of hatred for the BJP and the consequent combined assault on the ruling party by a united Opposition and a Media, heavily prejudiced against BJP, managed to sway the opinion of the people of Bihar against BJP”s development-oriented campaign. Secondly, there are reasons to believe that the disdainful speeches and insolent comments made by the two Bollywood actors were aimed at the soft underbelly of the BJP, badly mauled in the Bihar elections, and an extension of the contumelious propaganda of the Congress and its allies, to keep the heat on the BJP for further political gains. This is a very strong possibility wherein the two actors allowed themselves to play, knowingly or otherwise, into the hands of the Opposition parties in general and the Congress, in particular. The validity of this theory is given credence by a recent happening that involved Rahul Gandhi. The Congress Vice President, who was the guest at a program in a prominent women’s college in Bengaluru, recently tried hard to run down the Prime Minister’s Swachh Bharat Abhiyan and mobilize, in a vain bid, the support of the students to term the program a failure. The keenness of the Gandhi scion to turn the youth against Modi proved counterproductive when the students voiced their support for the program much to his dismay. Against the backdrop of Rahul Gandhi’s futile bid to denigrate the Prime Minister, the vexatious statements made by Shah Rukh and Aamir, turned out to be part of a larger game plan conceived by the Congress. All these appeared to be happening in connivance with sections of the Media with a vested interest, to pit its pet theory of “rising intolerance” against the soaring popularity of Prime Minister Modi, both at home and abroad. The statements of the Bollywood actors over their disenchantment with the government were sweet music to the ears of the Congress, which was quick to grab the opportunity to beat their drum about their hackneyed allegations of the government’s failure to safeguard Secularism and arrest the trend of the increase of intolerance. There were familiar echoes of the charges in the Pakistani Media too. Insidious stories were floated by the Pakistani Media that Shah Rukh had blood connections with an ex-Chief of ISI and was welcome to Pakistan, should he decide to quit India. Nothing could have brought more shame and disgrace to Shah Rukh than this kind of gimmickry by the Pakistani Media over a highly irresponsible and reprehensible statement of the actor. One could not forget, no matter how hard one tried, the extremely unpatriotic way the Congress honchos Salman Khurshid and Mani Shankar Aiyar canvassed in Pakistan for that country’s support and assistance in dislodging Prime Minister Modi. There lies the smoking gun out in the open. Thirdly, it takes the best of directors several takes to get a perfect shot. That being the case, how do the filmy heroes enact a portentous scene perfect to a ‘t’ in their real life without the professional assistance of scriptwriters and directors? No matter how puffed up they seem and brave they sound, they are sure to falter when they deliver statements of powerful impact away from the arc lights. Their statements are therefore taken only with a pinch of salt in normal circumstances by people who are knowledgeable and well-conversant with the ways of the filmdom. In the instant case, there seemed to be an underlying motive and sufficient indications that there was a master brain behind the well-timed delivery of the statements. Shah Rukh had referred to an atmosphere of growing “intolerance religiously” in the country in reply to a question during a Twitter Townhall on November 2 and said that not being secular in India was the worst crime a patriot could commit. He had further defended the gesture of returning of awards given away for excellence in different areas of creative arts, literature, etc in protest. He went on to call those who returned the awards brave and honest if the gesture was going to turn things around. Shah Rukh’s statements raised the hackles of a broad spectrum of right thinking individuals across the nation but were acclaimed across the border as a leading voice of dissent in castigation of the Modi government. There was no dearth of people who questioned in the social media his loyalty to the country. They wished him Godspeed to migrate to Pakistan if he were to behave so high and mighty and was uncharitable in his criticism of his own country. Obviously people were furious over Aamir Khan’s statement and went hammer and tongs to demolish his superstar image, and questioned his patriotism. The social media was replete with condemnation of the star in the strongest of language for his disgraceful speech. Was it not the people of India who had made him a superstar and given him appreciation and accolade for his work? Why should he fear the same people and talk of moving out of the country? Even when he made highly controversial films like PK, didn’t his fans stand by him and make the films hugely successful? Why now the talk of moving out of the country? And, in any case, which country would he want to go to? Definitely, not Syria or Iraq? Pakistan, for one, would not take him as he is reportedly a Shia. Also, to know what intolerance in real sense relates to, study the Blasphemy Law of Pakistan used widely as a tool to suppress voices of non-Muslim religious minorities. Equal freedom and rights to all religions and castes in India is what you shall be proud of. BJP spokesman MJ Akbar brought out the stupidity of the star’s talk of moving out of India by asking him if he proposed to migrate to New York or London, adding with a chuckle that at neither place would Aamir be hearing Azan, the call of the Muslim cleric to the faithful for inviting to prayers! Speaking at a press conference, Akbar said Aamir had defamed the country for some personal benefits. He alleged that Aamir had “committed a moral sin” as he did not have any “right to drag down the entire country because of personal antagonism towards a party.” He also said Aamir should not forget his iconic status and the fact that he was a relative of freedom fighter Maulana Abul Kalam Azad, whose message was that the country belonged to everybody. 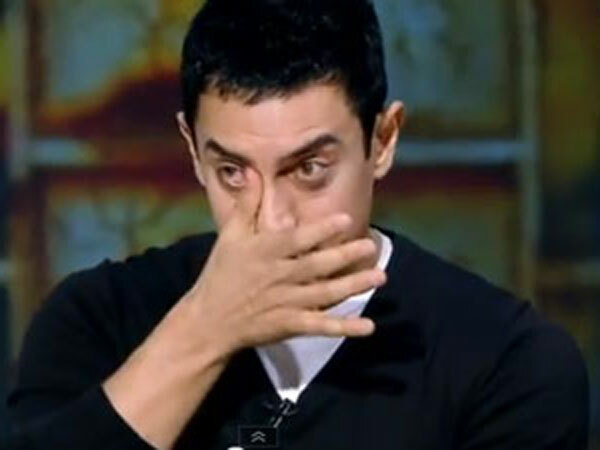 He reminded Aamir that Ulemas of 73 countries had praised India for religious freedom. Meanwhile, BJP leader Shahnawaz Hussain said no country in the world is better for Muslims than “incredible and ‘atulya’ (unmatched)” India and no neighbour better than a Hindu. Writer Taslima Nasreen gave Aamir the most sensible and straightforward advice – India is the safest place for Aamir as that is what had made him what he is today. Meanwhile, Snapdeal, which had appointed Aamir its brand ambassador, faced flak for the controversial statements made by the film star and users on the Google Play Store for the e-commerce marketplace downgraded the e-commerce giant’s app. Netizens took to Facebook and Twitter to express their opinions, majority of which reflected abject disappointment over what the two film stars had said. They wondered why neither of these superstars ever talked about “rising intolerance” at the time of ethnic cleansing of Kashmiri Pandits, communal riots in Mumbai, the anti-Sikh riots in 1984, the Sabarmati Express coach burning incident in Godhra in 2002 and during times of the never-ending suppression of Dalit, women and children in various states of India. Striving to drive home the point that vast majority of Hindus are tolerant and not driven by their religious beliefs, on Facebook an avid movie-goer reminded Aamir Khan that though majority of movie-goers in India are Hindus, for years they have been spending their money to buy tickets for his movies. So it was the money of Hindus that has made him the Superstar that he is today. He signed off saying that he and his friends have decided to boycott all the Aamir Khan movies in future and also the products where he is brand ambassador. While Shah Rukh said he had not said what had been attributed to him, Aamir pointed out with all the conviction at his command that although he was sticking to what he had said earlier, he and his family were staying on in India and going nowhere else. If he was so fiercely committed to staying on in India, why he had raked up the question of moving out of the country in the first place was something he did not talk about. Maybe there was nothing to say. Having stated all that happened in the past few weeks in response to the unjustifiable statements of two Bollywood superstars, rounding up the facts and impressions to reach a conclusion becomes a must to replace the dirt with clear skies. Dear superstars (I am afraid how this word personifies you), you are not the only ones belonging to and yours is not the only minority community in India. You are second to the majority in terms of numbers (in fact, your growth rate is higher among all), and Islamic followers far outnumber Jains, Buddhists, Sikhs and Zoroastrians. Sikhs are a living example of how a community faced political wrath, yet did not label the country as intolerant. Of course, among them too are fanatics planning for a separate country for Sikhs, they are categorized as terrorists and not patriots. Then how shall we label you? You must agree that we are tolerant even after this politically fabricated and manufactured propaganda of which you are a part, consciously or otherwise. It cannot be said whether it was the Modi government’s stringent action against illicit foreign funds received by NGOs (your association with them is known to all Indians) or it is the desperate need of controversy to kick-start your upcoming films’ promotions or it is the unending disliking for one politician, who today is the Prime Minister of India, that prompted you to give such senseless, shameful and unacceptable statements. Another fact to be noted here is that in February this year the NDA government’s Urban Development Ministry sent notice to the Congress party for vacating bungalows in their unauthorized possession. Lending support to Opposition’s voice by awardees, film stars and even by some journalists (many among whom relish government bungalows and perks either as patronage or due to security reasons) may be a probable outcome of a fear triggered among this class of losing the such aids having won honours under the patronage of Congress government. Tolerance and Intolerance, our dear stars, have a very thin line of demarcation. Your shutting of doors of your cars and turning back to those street children of Mumbai is an example of intolerance, your spending on bungalow interiors, when more than half the city you live in is even deprived of basic necessities is intolerance, also, when you speak such statements, however, have no time advocating PM’s Jan Dhan Yojana aimed at financial inclusion, it’s intolerance. People’s reaction by just downgrading a mobile app you endorse or boycotting your films peacefully is tolerance; to know what intolerance can do to you, try mocking a minority Deity in a film like PK. Glycerin can help you bring tears to eyes while hosting a show based on social flaws, real work for deprived, however, asks for selfless devotion, charging crores for a day’s hosting and profit-sharing agreements with producers of your films substantiate your hunger for paybacks. Then too, we are so tolerant and more than happy to back you when you do not cross limits; this time, however, you have done so, having defamed the country and its natives. As a piece of advice from a common man who does not relish VIP security and fan-following like you, do refrain from using your hatred for one politician as a reason to insult the country of which we are proud to be a citizen. Also, your senseless behavior, if continues for long, may bring you face to face to what is called ‘real intolerance’; but I am very much sure that descendants of Ambedkar and Vallabhbhai Patel will never hurt India’s harmony and acceptance that we consider as our asset, a duty we are taught to abide by. Once ‘Sri Sri Ravishankar Ji’ spoke: Hindus are very tolerant. Indians in general are very accommodating but insult is not to be tolerated. Hatred-venom against a community is not nice for an artist. There is no other country in the world which gives so much freedom of expression as India. See with respect everyone and every religion. Nurture harmony in diversity. It is these people who fuel fundamentalism even in communities which are very peaceful and tolerant. Let’s be aware of the terrorism of PEN (Freedom of Expression). P.S. : The ethnic cleansing of Rohingya community in Buddhism dominated country, the persecution and exodus of Kashmiri Pandits from a Muslim dominated state of India and the refugee-crisis as a consequence of ISIS’ caliphate advocacy are ‘Intolerance’. Better it shall be if eminent personalities of India, writers and film stars, ditch their disliking for one politician, refrain from making seditious statements under the ambit of freedom of speech and expression, and understand, search for and talk of ‘real intolerance’. As the first step towards this, please categorize this writing as freedom of speech and not as an act of intolerance towards you. This entry was posted in blog on November 30, 2015 by admin. After the ED raid comes this statement.Our PM does not want to tolerate people stealing money avoiding paying tax etc. That is why everybody is launching an attack.Hitherto,the policy of UPA was we will swindle and loot the country and you can also do the same except the poor ,very poor and the middle class.that is why the media,the celebrities were very fond of Congress ,the biggest looter and seamster. Shame on these two actors for becoming willing tools in the hands of the Con party to tarnish the image of not just BJP and the Sangh parivar, but the whole nation! Had they pondered for a moment that it was this country which gave them so much of name, fame and wealth, they would not have had to face so much of ire for their ingratitude now. These two actors and the leftist intellectuals who were part of the Award Wapasi Brigade have lost their credibility as much as the Congress-Left which stands exposed. Inability to absorb success they got. And more than their eligibility. Propaganda is to make Modi look like a demon in India who loves only Hindus and hates Muslims. If this was the case then he would not have named a Muslim man in UK as pride of India. Support PM Modi and slam such fake seculars of India. Just wait and see India hat happens when polls will be due in Uttar Pradesh. Mayawati and Mulayam will become friends again and they will appease the minority and backward. This is the same propaganda by awardees and film makers. If HINDUS are intolerant it shows they have crossed all the limits. Each Indian hamlet is a solid proof of the great tolerance exhibited by the dominant castes of Hinduism. Let the Indian classes do some introspection about the tolerance tom-tomed by them. Let the charity begin at home. .
Not acceptable. The statements of these filmstars is a super conspiracy by communal forces and they think that their fans will blindly follow what they say. They should not just apologise but should also quit social life. All Nationalists and true Indians should be united in raising voice against such pseudo intellectuals who spoil the atmosphere by their acts and talks..As one word we should boycott such anti national anti social elements…Hope every one who loves our country support this and implement. VHP said that after centuries a Hindu person will rule the country. It was clear that the right groups of India will have the patronage of the government in whatever they do and it is what that is happening now. RSS and VHP are like lose killers. Slap aamir khan is in news. Lets prepare ourselves for this since this stupid person has shown that his heart resides in some other country. If he doesn’t move out then lets make him move out of India by boycotting his films. I don’t feel that a true muslim is ever moved by such statements. This might be their personal opinion but not of the entire muslim community. If Modi favours development then no one should be against him. In or country any incident can become a nationally debated topic if it is related to religion or caste. If a backward gets suppressed then it becomes news but what when a general category student is rejected admission even after scoring more. Mr. Gupta do not give a political angle to sombodys statement just because they are Khan. Do you have to say anything about the statements of Haryana CM, Sadhvi and the Swamis of BJP. Are you not trying to get lick BJP to have favours and promotions in your banking career.Stop this nonsense because to right thinhing person will buy your idiotic story. If you are so very against the comments by Aamir Khan and Shahrukh then you can file a defamation case in the court. Why are you judging them on your own belief and ideology. They said nothing wrong, muslims are in danger in BJP rule. Modi is re-inventing India and it is time that we people back him and not involve him in pity things. Let him concentrate on development agenda and please stop creating scenes over small happenings. I wish writers suggestions are followed. Muslim man, with two Hindu wives, with all Muslim children and a statement that he feels India is an intolerant country. Aamir Khan, you deserve to be expelled from the country, we pledge not to watch your films anymore. Why dont we teach all start who feel India intolerant by not not watching their movies. After all it is peaceful protest. I feel that these two stars have now realised that they belong to Muslim community and that the entire Muslims across the globe are supporting them.In reality when they themselves don’t know what they are and their skills ,it is this Indian film Industry which had made them by moulding their characters and the entire Hindu community has supported them on Bollywood. Both these two actors never felt intolerance in India until they were honoured as super stars.But after becoming stars of Bollywood, they suddenly realised that they are Muslims and that staying in a country dominated by Hindu community is intolerance. Let’s these two bastards understand that we Indians have accepted and encouraged them not because they are Muslims but because they were representing Bollywood.shining as super stars in Bollywood does not give them any right to comment on our country and we do not tolerate if anyone insults our country or our Prime Minister Mr. NarendraModi. It is well known fact that Muslims are enjoying more benefits and freedom in India when compared to their religious people living else where in the world.so only none of the Muslim community is leaving India. If these two people want to leave India they can do so only after donating the entire money they earned in India to any orphanage or oldage home. Shameless actors. They betrayed the very people who loved them and their performances. One suggestion to AAMIR, if he want to really try what exactly is “INTOLERANCE” let him remove Lord Shiva from his film PK and replace Muhammad instead.